Google has rolled out a host of new features for the Google Assistant which range from better list management and new smart device controls to one that rewards users for being polite and also tells stories for kids during the holiday season. Users can now easily create a list with a specific name and add entries to it by just saying the relevant command. 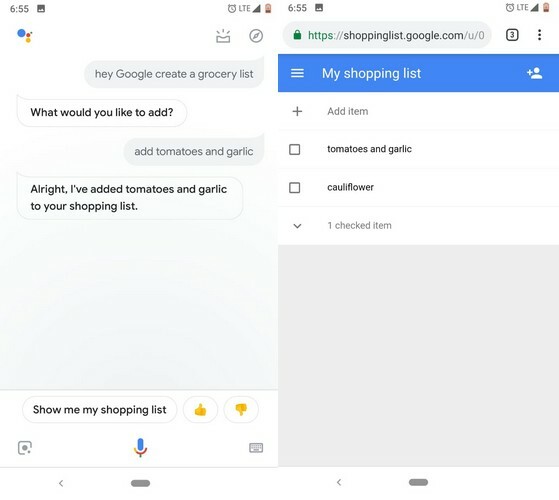 For example, you can ask Google Assistant to create a list with a simple voice command like ‘Hey Google, create a grocery list’, followed by the items that should be added to it. Google also plans to add support for Google Keep as well as other third-party services such as Any.do, Bring!, and Todoist for Google Assistant’s new list creation feature. 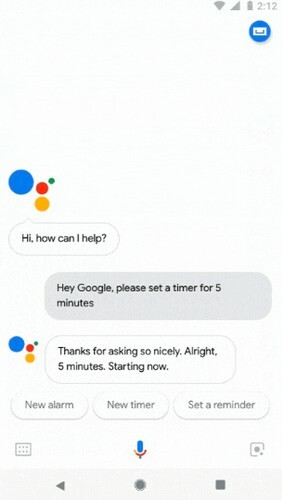 Saying thank you and please to an AI assistant sounds unreasonable, after all, it is made to assist users. But there is no harm in being polite, right? Pretty Please is a new feature that will reward users with a heartwarming response every time you add something courteous such as a Thank You or a Please to your voice commands. When it announced this feature at Google I/O 2018, the company said it’s designed to help kids learn manners even in the age of the smart assistant. 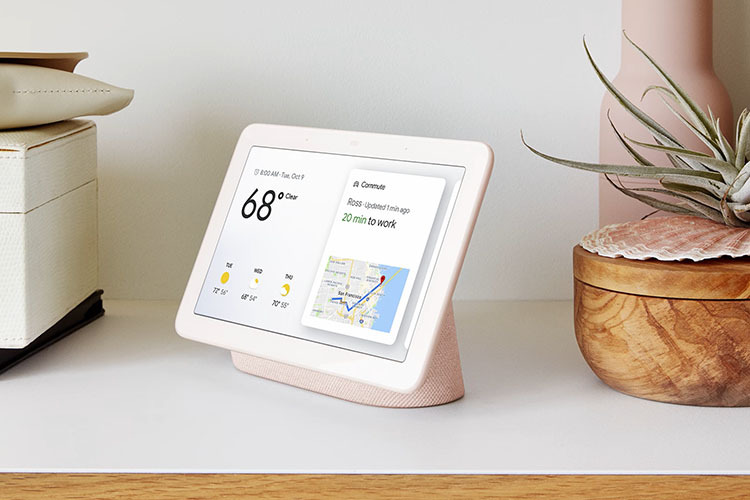 Google Assistant-powered smart displays will now feature a ‘Talk’ button that will let users talk with guests standing in front of a Nest Hello video doorbell even before they enter the house. 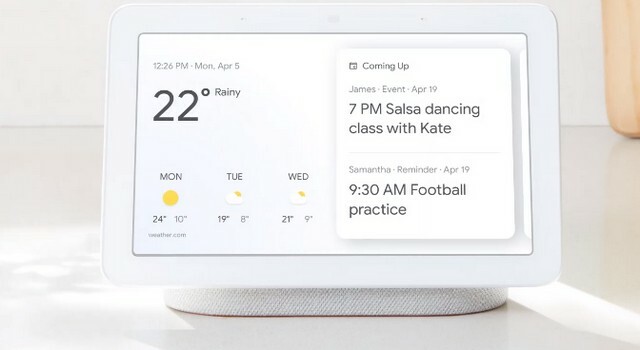 Instantly set an alarm: You can now swipe up on the home screen of a Google Assistant-powered smart display, such as the Google Home Hub, and tap on the timer button to quickly set an alarm. Easy photo sharing: While going through images on a smart display, users can easily share a photo with people in their contact list with a voice command like ‘Hey Google, share this photo with George’. Broadcast Reply: The broadcast feature allows users to broadcast a message on all connected Google Assistant-powered devices. Starting next week, people can also reply to a broadcast message via the Google Assistant on their smartphone or Google Home speakers or smart displays. Users can now see the lyrics for songs being played via Google Play Music on a smart display. Also, Google has also expanded the library of books for the Google Assistant’s ‘Read Along’ feature which adds sound effects to make a story recitation session more dramatic. Read Along can now be activated for holiday classics like Mickey’s Christmas Carol as well as beloved Disney titles like Frozen, Aladdin and The Lion King. Also, one can now listen to books from a library of over 50 titles such as Beauty and the Beast and Cinderella, alongside some new holiday content from Nickelodeon such as Albert: The Little Tree with Big Dreams and Blaze and the Monster Machines among others on a Google Assistant-powered smart home device.